The County Treasurer is responsible for mailing Property Tax Statements to the owner of record, collecting property taxes, and disbursing taxes to the taxing authorities (school districts, cities/towns, the county, special districts, etc.). Other duties of the Treasurer include receiving all monies sent to Yuma County, maintaining correct and proper accounting of all monies, disbursing monies for obligations of the county on the orders of the Board of County Commissioners, and investing all monies until they are needed. Article XIV, Sec. 8 of the Constitution of the State of Colorado is the authority by which the Treasurer operates. Activities of the office are directed by the Legislature of the State of Colorado through the Statutes. The Treasurer is an elected official, serving a four year term of office. If your property lies within the boundaries of Yuma County you will pay your property taxes to the Yuma County Treasurer, 310 Ash Street, Suite C, Wray, CO 80758. What should I do if I don’t receive a property tax notice? You owe tax on your property whether you get a tax notice or not. If you are not sure if you owe taxes, please check with the Yuma County Treasurer. State law requires that the notice be mailed to the property owner. Most mortgage companies get their tax information from a private tax service or directly from the county. If you feel your mortgage company needs a copy of the tax notice, you may mail them a copy with your next payment. 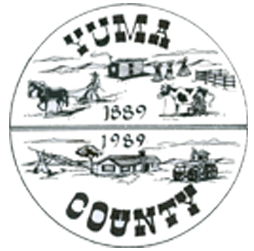 Will Yuma County send second half notices? No, Yuma County will not send out a second half notice. Public Schools; Police Sheriff, and Fire Protection; City and County Roads; Water and Sewer lines; Public Libraries; Recreation and Parks; Public Heath; Human Services. I can’t afford to pay my property taxes on time. What should I do? Property taxes on real estate paid after the due dates accrue interest at the rate of 12% per annum up to the tax lien auction. If paying after the due dates, refer to the Interest Chart below or call the Yuma County Treasurer’s office for updated figures. Delinquencies are normally advertised during the month of October, and the tax lien sale is held in November. If at all possible, you should try to pay the tax by the end of September in order to avoid the advertising charges or at least before the tax lien sale. If you simply cannot pay before tax lien sale, take heart. There is a three-year redemption period during which time you can pay the delinquency plus accrued interest and fees. Remember, however, that the next year’s taxes will be coming due the first of the year. Make every effort to keep from falling behind on the payment of your property taxes because you could ultimately lose your property. If you have more questions, contact the Treasurer’s office. What is a Certificate of Taxes Due? A Certificate of Taxes Due is a certification that all property taxes have been paid on a property except those shown on the certificate as still due. This assures the purchaser of the certificate that there will be no hidden surprises such as prior year delinquent taxes not shown on the tax rolls. If such a case occurs, Yuma County will take care of any taxes that were omitted from the certificate. What is a Manufactured Home Authentication? In order to change a title or move a mobile home in the State of Colorado, you will need to purchase an Authentication from the Yuma County Treasurer. This form must accompany the title when submitted to the State and it must be in the mover’s possession while the home is in transit. In addition, an orange card will be issued with the Authentication when purchased for movement. All taxes must be paid before the Authentication will be issued, including the next year’s tax if moving out of the city and county. For moves out of state or to a dealer’s sales lot, the next year’s taxes will be prorated. What is a title Purge? Property taxes are the result of multiplying the assessed value times the mill levy for the taxing area. The assessed value is a percentage of the actual value of your property. (For more information concerning valuation for taxation, contact the Yuma County Assessor.) The mill levy for the taxing area is the combination of the separate mill levies for each taxing authority that contains your property within their established boundaries. Actual values are determined by the Assessor. Assessed values are derived from the actual values using formulas set by the State of Colorado. What is a Mill Levy and how is it figured? The mill levy is the tax rate used to calculate the tax bills of individual properties within a taxing area (or district). Each taxing authority determines how much revenue they need from property taxes and divides that by the total assessed value of the properties within their boundaries, as supplied by the Assessor. What can I do to lower my property taxes? Taxing authorities, including schools and fire protection districts, levy property taxes in an amount necessary to meet budget needs for the following year. If you want to have a voice in the amount of taxes you will be asked to pay, you may want to attend public budget hearings and get involved in the process. Are there programs to assist senior citizens in paying their property taxes? Yes, The State of Colorado currently has three programs to assist senior citizens in paying their property taxes. The Tax Deferral program. Basically, any homeowner over the age of 65 can file for a tax deferral on his or her primary residence. There are several other qualifications that must be met. Tax deferral applications must be made to the treasurer each year. If approved, the State will pay the taxes for that year and attach a lien to the property. The lien will accrue interest at a rate set by statute and will become due and payable upon the sale of the property or the death of the applicant. Applications may be obtained from the Yuma County Treasurer or you may contact us by email at treasurer@co.yuma.co.us. The Senior Property Tax Exemption program. Any homeowner who was 65 years or older on January 1st, has owned the property for more than 10 years as of January 1st, and resides in the home can apply for this exemption. Applications are made one time and only to the Yuma County Assessor. Once you are qualified, the exemption will lower the actual value of your property by 50% up to a maximum reduction of $100,000.00. The State of Colorado will pay the tax on the exempted portion. Applications can be obtained at the Yuma County Assessor’s Office or online form the Colorado Property Tax Administrator. The Property Tax/Rent/Heat Rebate program. This is administered through the Colorado Department of Revenue State Income Tax system and is based on your income. If you are a full-year Colorado resident, 65 years of age or older, disabled, or a surviving spouse 58 years of age or older, you may qualify for the Property Tax/Rent/Heat Rebate and/or the Property Tax Deferral. Qualified applicants can receive a rebate of their property tax and of their heating expenses paid during the year, either directly or as part of their rent payments, by filing the Property Tax/Rent/Heat Rebate Application Form 104PTC. For more information, contact the Colorado Department of Revenue at (303)232-2446, or check with the person who does your income tax preparation. Click to view the 2018 reports. Click to view the 2017 reports. Click to view the 2016 reports.